This year the hydrangeas are big enough that I feel I can cut a few blooms for the house without leaving the entire shrub naked for the neighbors. I think these flowers would be blue if I treated the soil with acidity(?) but I prefer low-maintenance gardening and choose to embrace the natural variations my yard produces. I have planted three varieties of hydrangeas since we moved here five years ago. The other two bloom later in the season but are growing the fullest I have ever seen. 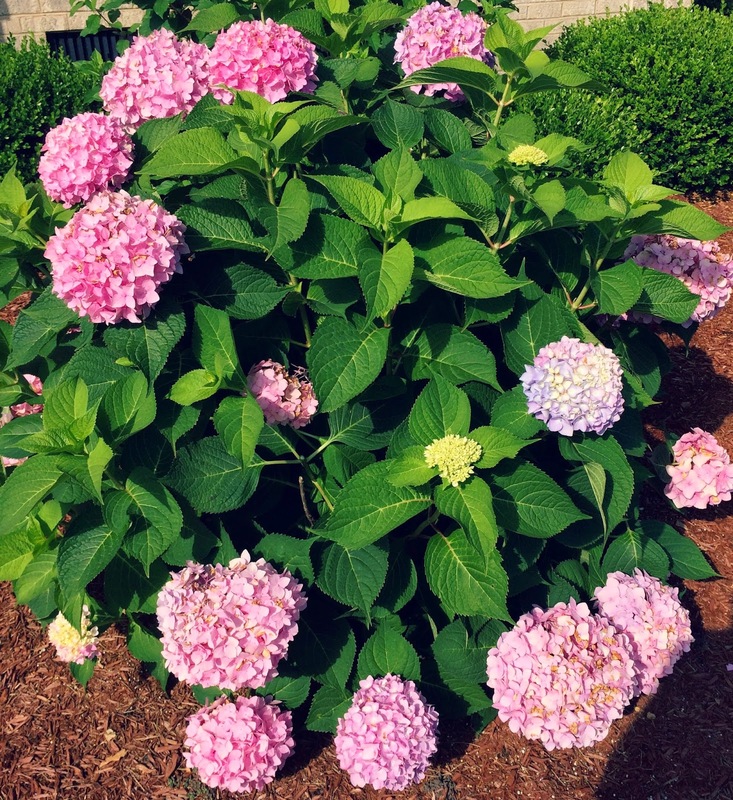 My landscaping goal was to plant a variety of perennial flowering shrubs so that something is always in bloom. 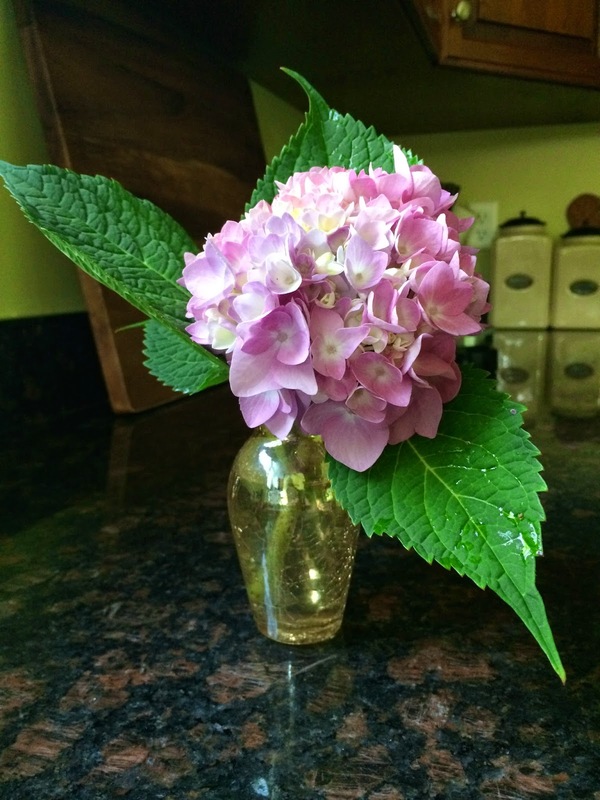 Each year I pull out what hasn't worked(such as the dwarf gardenias) and replaced things with something new. The hydrangeas are keepers for sure. We rarely take family photos and this one is blurry but still I love it so. It somehow captures the closeness we have in this season of life. I recently told my husband that it feels like we are in the "golden hour" of our family right now. This particular combination of pre-teens and little boys is so much fun. They are still firmly "in the nest" but are learning to fly as well. The other day I was asking the boys what they wanted to do that day and my oldest said he didn't care - he just wants to be together as a family. That comment has lingered in my mind and helped me re-focus our summer fun plans. If that's what they want that's what we'll do. How easy to please are these kids? Plus that's all my husband and I want to do too! 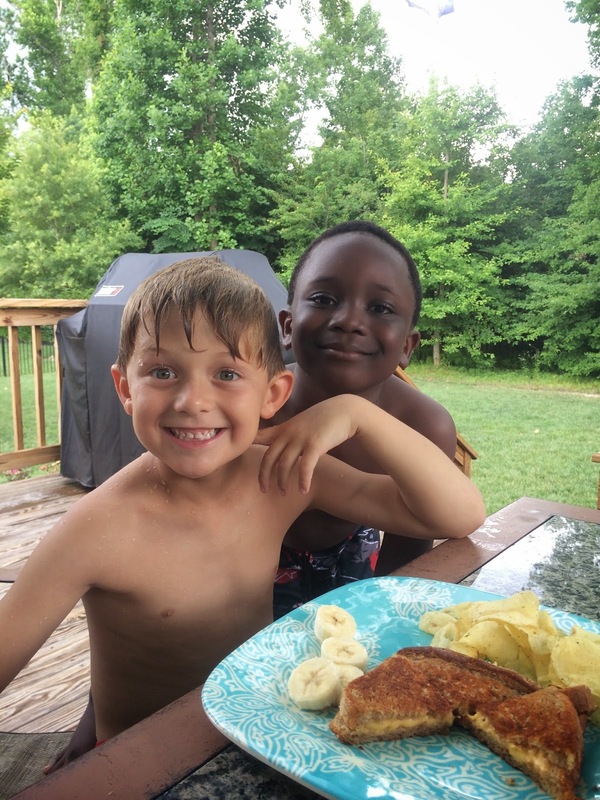 Kai and his best friend have been in school together for three years. This year they graduated from Kindergarten and will move on to first grade together. They are both six years old. I think I have as much fun listening to their conversations as they have playing together. They are full of wisdom and imagination simultaneously. 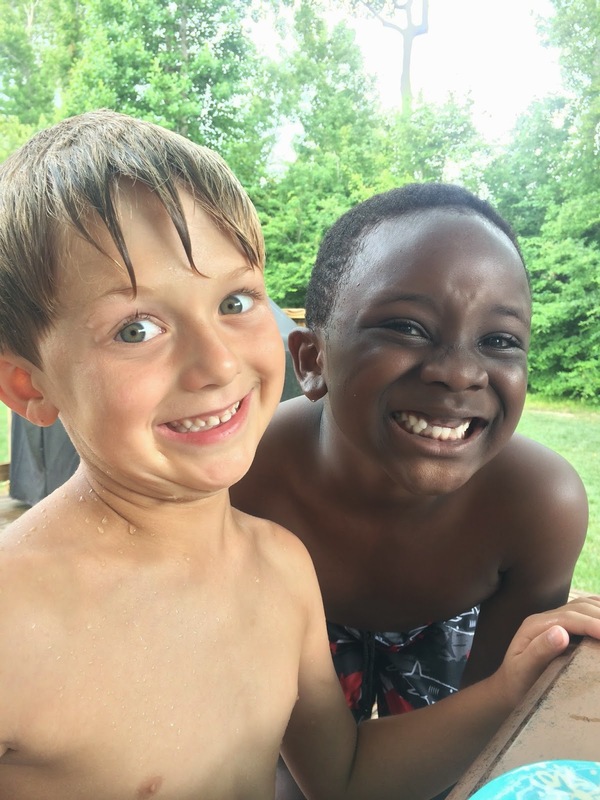 And their smiles melt my heart. 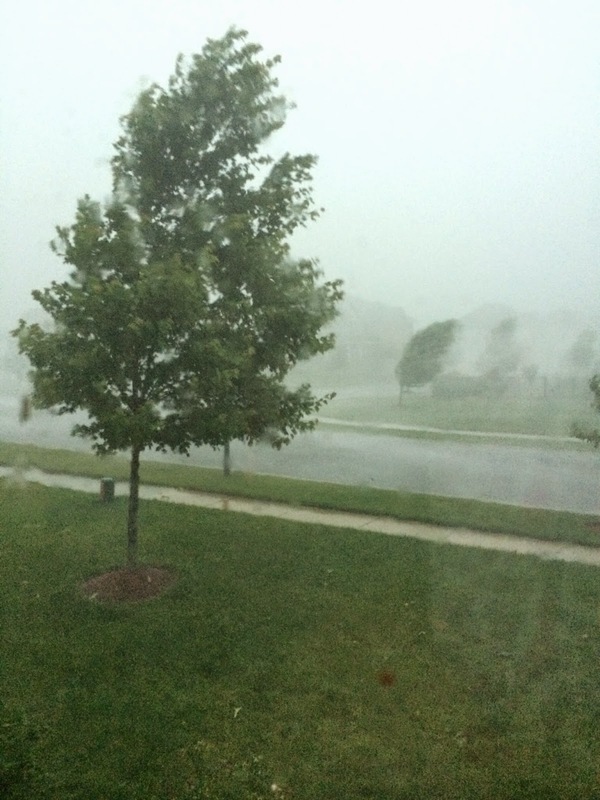 Last week we had a storm blow up one evening that was like a mini hurricane. It was actually a series of microbursts. It blew the trees sideways, knocked us out of power until midnight and took down some lovely trees in our area, including this one at a nearby softball park. Kai cried when he saw it. Truly cried, real deal tears and we had to stop to pay homage to a tree he had loved. 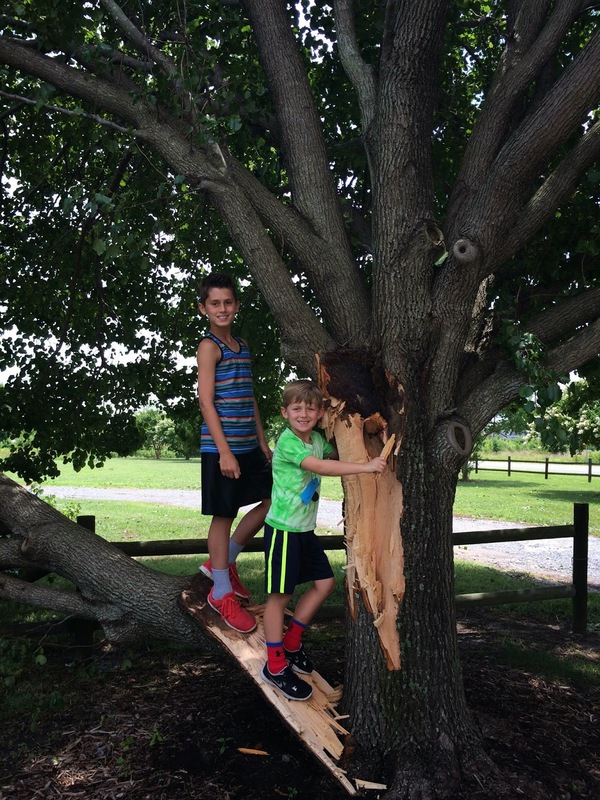 We took pictures and brought some wood home to help us remember Kai's "buddy tree" and the June 2014 storm. Let's hope that's the only "hurricane" in store for us this year. LOVE this post! 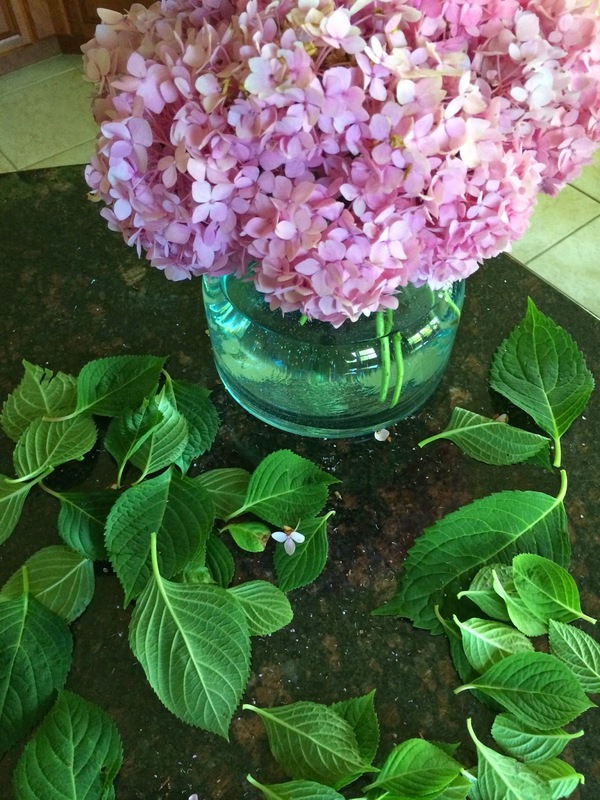 How do you get your hydrangeas to look like that? I just started mine, and by that, I mean that a landscaper put them in and (very stupidly) left them for me to care for. I have a black thumb! Actually I do very little and have found that growing hydrangeas successfully is more about where they are planted than anything else. This type needs about 6 hours of sun a day in order to bloom. Many people think they require shade and then they don't thrive. However, even this shrub gets a bit sunburned in later summer and the leaves get spotted. Other than that they get watered regularly by our sprinklers so the perfect low-maintenance plant for me!